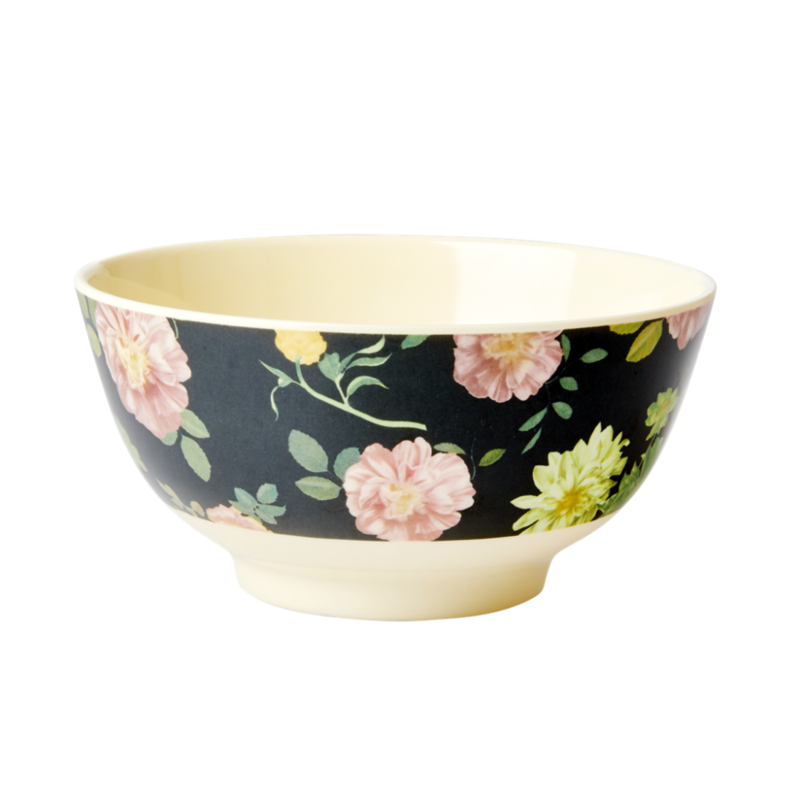 Elegant Dark Rose Print Melamine Bowl by Rice DK from the new "Happy 21st" collection. A cream base bowl with a Rose print on a dark background. Add a splash of colour to the table.